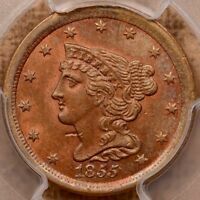 1835 Half Cent, Classic Head, Super Nice Sharp Solid Gem BU++, Tough This Nice! 1835 Half Cent, Classic Head, Attractive Gem BU++, Razor Sharp Strike! !